With information that could solve a series of murders but endangers the girl he loves, a college boy grapples with what to do and whom to trust. Ethan Langley is home for the summer, eager to renew his friendship with Vanessa Jessup and her infant son, Carter. And her parents, Police Chief Brill Jessup and her husband, Kurt, approve: Ethan is thoughtful, kind, hard-working, and ambitious. Before Ethan is even settled, a series of random shootings leaves someone he loves dead. While police are scrambling for suspects, Ethan learns shocking details that could break the case but it imperils the lives of those he's come to love. Going to the police with what he knows endangers Vanessa and Carter, but not telling them is just as dangerous. He's been dealt a risky hand in a game for which he doesn't know the rules. Will he make the right call? Where does The Right Call rank among all the audiobooks you’ve listened to so far? This is a good book. I love the story. I love the location. The descriptions are true to the Smokies. Kurt, I enjoyed his faith throughout the series. I admire his devotion. Good book,but performer needs to know how locals pronounce the towns. I lived in the area for about 5 years and the performer said most of the names of the local town BAD. It distracted me from the story. 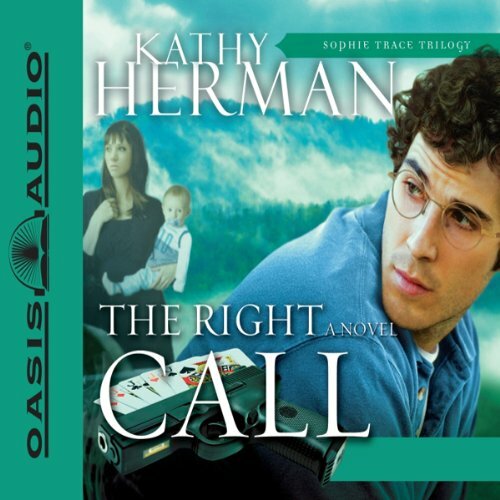 I have read other books by Kathy Herman, this was my first time listening to one of her books. She really jumps right into the book and gets you hooked with the first few sentences! You will not be disappointed by this book.